With so many technologically advanced toys available today, you might feel like opting for one of them is a better choice for your little one. However, experts can attest that oldies are still goodies when it comes to toys. This is why there’s a high demand for the best building toys nowadays. If you’re looking for the finest building toys for your little one, here are twenty of our top picks that will get them building in no time. ​8. Learning Resources Gears! Gears! Gears! A great start to this list is this set from VIAHART. Brain Flakes is unlike any other building toy. Instead of featuring stackable blocks, it’s made up of slotted plastic discs that can be interlocked with each other with ease. Each set comes with more than 500 discs and a jar for storage. What's Great About It: Your little one’s creativity and imagination will easily take center stage when playing with this toy. While it comes with a booklet that contains instructions on how you can make a Brain Flakes Ball, there are so many other things that your child can create with this toy. 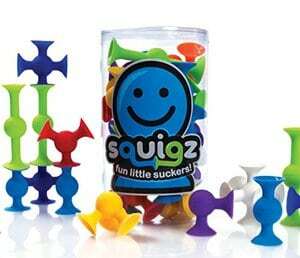 Fat Brain Toys’ Squigz is another adorably unique toy on this list. They’re a lot like colorful balls with suction cups, so you can easily allow each piece to connect with each other. All of your creations will remind you of those cute representations of chemical bonds. What's Great About It: This toy is undeniably cute and interesting. The design alone will really excite your child and get their creative juices flowing. What we loved most about it is the suction cups. They make the balls more manageable and stackable. 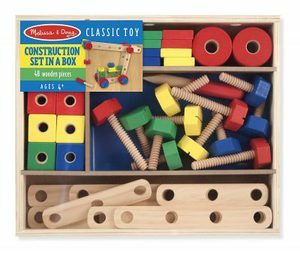 If you want to take construction play a bit more literally, Melissa & Doug’s Construction Set in a Box has got you covered. This toy comprises of nuts, bolts, blocks, and building boards giving your child a variety of different items that they can build things with. What's Great About It: This set is definitely not your typical building toy. Your little one will need to know more about putting things together which will give them a wide array of challenges while fostering their imagination and motor skills. 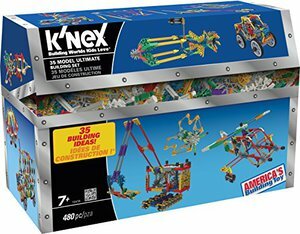 As many parents will know, K’Nex is not like any other toy manufacturer out there as they produce educational building toys that are really challenging, exciting, and unique. The 35 Model Ultimate Building Set is a great testament to this, as it features 480 parts and pieces that will let your child create different interactive creations. What's Great About It: Ideal for older kids, this set also comes with a booklet that contains instructions on how to create 35 unique toys and figures like trucks, helicopters, dinosaurs, and rockets among many others. It’s also expandable so your child can create more things and learn more in the process. If you think that the K’Nex is a bit complicated for your little one, the Tinkertoy is an excellent alternative that you can get. 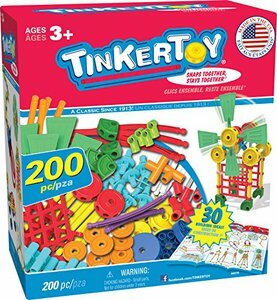 This building toy will let your child create different toys and figures using the rods, wheels, joints, flags, and spools among many others. What's Great About It: This toy is suitable for preschoolers, so you can be sure that it’s simple yet challenging and entertaining, even for older kids. There’s just so much that they can do with this set and you can easily foster your child’s creativity while introducing them to science, technology, engineering, arts, and mathematics concepts. 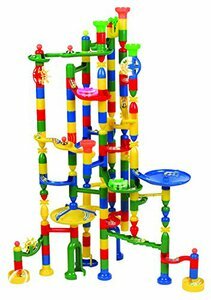 If you think your child will enjoy a building toy with a game objective, the Edushape Marbulous Marble Run is an excellent product to consider. Composed of 202 pieces and 50 marbles, your child will have fun creating the maze for the marbles to go through. What's Great About It: I love the versatility of this game. It can be a great toy for structured and guided construction play, but it can also be a challenging set for free play, making it worth a spot in any growing child’s toy collection. 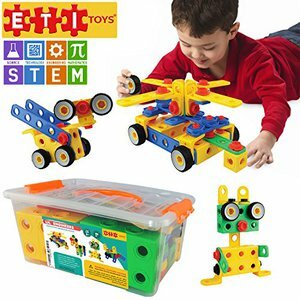 Another construction toy set that will allow your child to make their own toys and figures is this product from ETI Toys. It is designed especially for toddlers with its large pieces, but it still has a lot of challenges in store for your little one as they grow. What's Great About It: Composed of 90 pieces, this product will let your child’s imagination soar. It will also stimulate their minds in the best ways possible. If you think your preschooler will enjoy a moving building toy, but you're afraid that the K’Nex ones are too advanced for them, this Gears! set is something you need to look at. It’s a unique construction play set as it uses gears to compose different toys and figures. With 150 gears and other construction pieces, your child can build different creations easily. What's Great About It: This toy set is designed to encourage your little one’s creativity, because the instructions that come with each set only tell you how to create basic shapes instead of large, major works. Your child can spend hours with this toy and take great pride in what they create with its pieces. 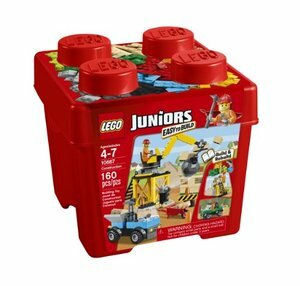 This is another toy that takes construction play literally because the LEGO Junior’s Easy to Build Construction set is a LEGO kit that features a construction site. What's Great About It: This is a highly versatile play set that you can get for any LEGO-loving child. It will add more ways to play with their other toys, making it an excellent addition to their collection. It’s no secret that branded toy bricks can be expensive, so what is a practical parent to do if all they want is to expand their little one’s toy brick collection without breaking the bank? 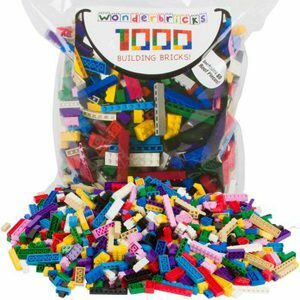 Getting a Wonderbricks 1000 Building Bricks is always a solid option. This set will provide your child with 1000 toy bricks to play with, letting them create more without costing you an arm and a leg. What's Great About It: Aside from its affordable price, these bricks are compatible with LEGO, Mini Mega Bloks Tyco, and Kre-O blocks, so if your child already has any of these pieces already, they can still play with this set. 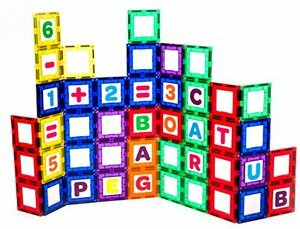 The number of blocks this set offers is also great and it will allow your child to create some true masterpieces. Another excellent alternative for building blocks is the ZOOB BuilderZ. This 500-piece 3D modeling play set is composed of pieces that resemble joints and balls that easily connect with each other. What's Great About It: This set comes with an instruction guide for building specific figures, but a creative child will find more ways to play with this toy. With parts that snap together, you can also create figures with articulated parts. This will allow your child to better express their creativity and explore more ways to learn and have fun. Building toys with different pieces can be too complicated for toddlers, but that doesn’t mean that they can’t be simplified while retaining their core design. 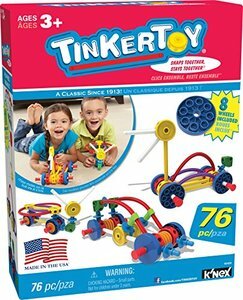 This is what the Tinkertoy did with its Wild Wheels Building Set as it offers the benefits that this brand’s products are known for, but is made suitable for young kids with simpler designs and construction. What's Great About It: This set comes with 11 building ideas that will thrill, excite, and entertain toddlers. By letting your child create their own toys, they also get to refine different developmental skills in the process. A classic toy like a domino set will definitely get a spot on our best building toys list. Why? Because they’ve already proven their worth. This Click n’ Play 300-piece set may not have the numbered dots that actual domino sets have, but the pieces come in different colors providing a way to sort them into groups and organize them. 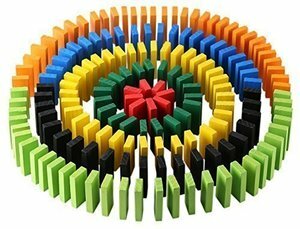 What's Great About It: Being a domino set, the pieces of this product can be used to create the domino effect. They can also be stacked on top of one another or be used in a multitude of other ways. I love that they’re color coded which helps teach kids different colors. They’re great for a child’s imagination, and their motor, spatial, and tactile skills. Here’s another take in building blocks for kids. 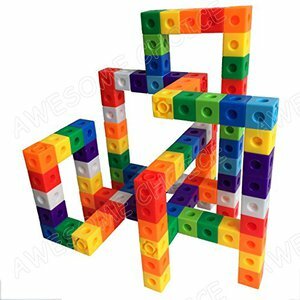 Awesome Choice’s Unlimited Creation Cubes is a play set that makes use of interlocking cubes of uniform sizes to create different toys and figures. It’s basically a mix of traditional stackable blocks and LEGO bricks. What's Great About It: This set is ideal for young players who are still getting the hang of interlocking blocks. They can create different shapes and toys with this set, adding more fun and versatility to their play time. Perfect for kids who want to build seamless creations and don’t want to be limited by slots, the Magformers Standard Set will let them create different masterpieces without fussing about the linkages. 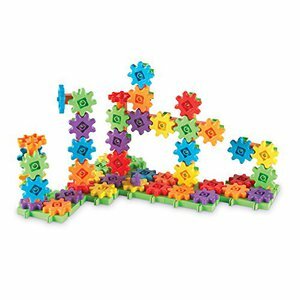 This magnetic building toy set is made with flat pieces that are available in different shapes, such as triangle, square, and pentagon. 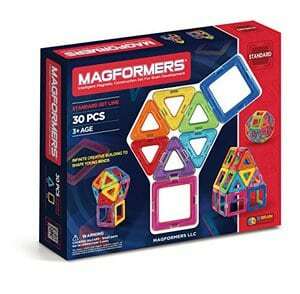 What's Great About It: Magformers make use of magnets to connect pieces together so they are easy to handle for young users. You can also use these toys to introduce your child to scientific concepts, making it a more attractive gift idea for little kids. What would a “best building toys” list be without a classic wood blocks set? 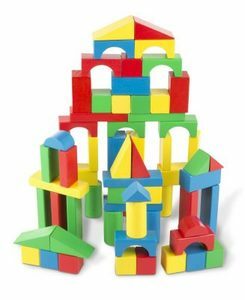 This Melissa & Doug product is certainly one of the finest options you have for construction play and it comes with 100 different wooden shapes in various colors to entertain and educate your little one. What's Great About It: With 100 blocks in 9 different shapes, your child can build different creations with this set. There’s no way to lock them together, though, so this set requires a good amount of precision, hand-eye coordination, and dexterity. If you want to get your child interested in construction play early on, LEGO’s Duplo line is an excellent option that can work for you. 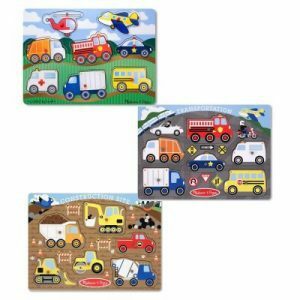 This set will let them create their own toy car and truck complete with painted characters that are drivers or passengers of their vehicles. What's Great About It: These simplified LEGO sets are great for encouraging a child’s motor, spatial, and problem-solving skills without overwhelming them with complicated parts and different pieces. As they’re also very easy to put together, they can boost your little one’s confidence every time they complete building a toy car or truck on their own. 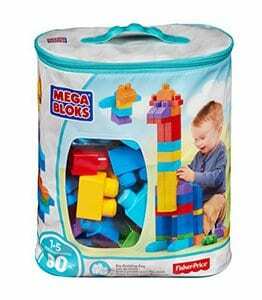 Like LEGO’s Duplo line, the Mega Bloks First Builders Big Building Bag is a construction play set for young children. It’s made up of large bricks that are safe for young kids to use and play with. What's Great About It: This particular set has 80 pieces, which is a good amount to encourage your child’s creativity while developing his motor, problem-solving, and spatial skills from a young age. This entry is another literal take on the construction play as it actually features illustrations from a construction site. This is a peg puzzle game from Melissa & Doug, which means that your child can also easily use the chunky pegged pieces as figures for pretend play. What's Great About It: Pegged puzzle toys like this one are great for refining a child’s motor and spatial skills. They can also double as the perfect toys for pretend play, so they’re very handy playthings for a child to have. Let your child’s imagination take flight with this Playmags set. 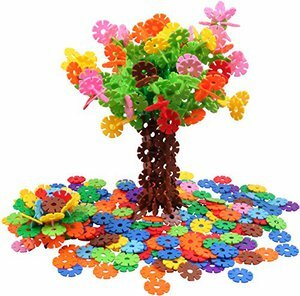 Including 100 pieces of flat, magnetized, colored plastic tiles, it provides ease of connection and the freedom for your little one to create their own toys and masterpieces. What's Great About It: Aside from being very easy to work with, which makes them perfect for children to play with, I love the attractive colors this set comes with. There are so many different building toys today that you can buy dozens of sets that are all completely different in design and construction. This makes choosing the best ones a challenge for parents wanting the best for their child. So, how did we come up with twenty best building toys? The first thing we did was to prioritize quality. As we only want to ensure the best and safest play times, we made sure to only pick toys that are thoroughly enjoyable, beneficial for your child’s growth, and safe. The next thing we made sure to do is to offer variety. There are so many different building toys available and we don’t want to shortchange anyone with limited options. As you will notice, the products in this list have different designs and gameplay, so you can definitely get them all without worrying about redundancy. Lastly, we paid attention to product feedback. Some toys may seem great in theory, but there are lots of ways that they can fail in real life. We made sure that all of the toys on our list are well-received and guarantee hours of fun, so you can be sure that your child will get the most out of their playtime with these products. Building blocks are some of the most popular toys for kids. Most people think that this is because they’re very simple, and for the most part it’s true. These toys are very basic. There are not a lot of rules involved in playing with them, letting little kids just do their thing during playtime. However, what a lot of people don’t know is that these toys offer more than just the opportunity for your child to stack a few cubes together. Building blocks and other building toys are actually brimming with many benefits for a child’s development. This makes it very important for you to give a few of these playthings to your little one, as they can really help their growth. But what exactly are these benefits, you might be wondering? Let us go into detail below. Mental stimulation is the first thing that your child will enjoy through these toys. The colors alone will already have great effects on their brain. Also, with stackable blocks to work with, they will have to think up of ways how to play with them. If they do come up with stacking the pieces on top of another, their logical reasoning and creativity will be tapped right away. Having to translate what they have in their minds with the help of the blocks is another challenge that they’ll have to think about, getting their minds to work. This is where their problem-solving skills can also be honed. If they want to create a certain shape that they’ve never made before, they’ll have to find ways to get around to it. This can also practice their spatial skills as they will certainly need to work out the shapes in their mind before they decide which pieces to use for their masterpiece. Motor skills are also developed by building toys. Since your little one will be using his hands when creating a structure from their colorful imagination, their grip and muscles will be strengthened and refined. If there are smaller parts that they can grab on to, their fine motor skills will also be targeted. Their hand-eye coordination will be put to test and even be honed every time they play with building toys. Your child’s math skills can also benefit from construction play. As most of these toys are incorporated with numbers, they can easily learn how to count. Some toys also have different shapes and lengths, so those can also teach them geometry and sizes. Scientific concepts can also be introduced to young kids with the help of building toys. Gravity is one of the most prominent concepts that they can get to know about as it can help them understand why their pieces fall down. Social skills are also developed by building toys. 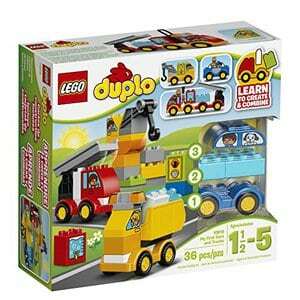 As these building sets can be easily shared with other kids, it encourages playing together. This will help your little one to learn how to interact with others, allowing them to know how to share and work with other kids. This can also help in developing their language skills as they can practice communicating with other children their own age in their own way. Building toys are also great for your child’s confidence. As construction play will let them actually create something, they’ll feel more capable after having a solid example of what they can do. With some positive reinforcement, you can also further encourage them to enjoy the activity more and feel better about themselves. These are just a few reasons why you should let your child play with building toys. 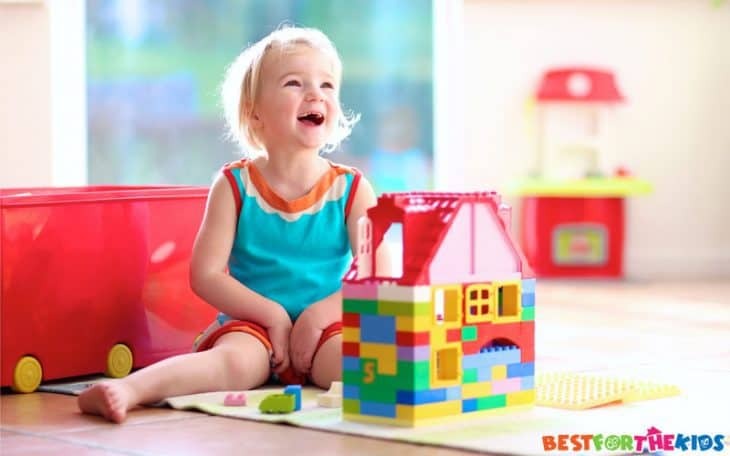 With so benefits that can lead from their construction play, you should definitely let your child take advantage of what these toys have to offer. If you’re looking for ways to add variety to your little one’s playtime, the best building toys can help. We hope our top 20 picks help you in finding the right products, as we believe that construction play should be encouraged because of its many benefits.